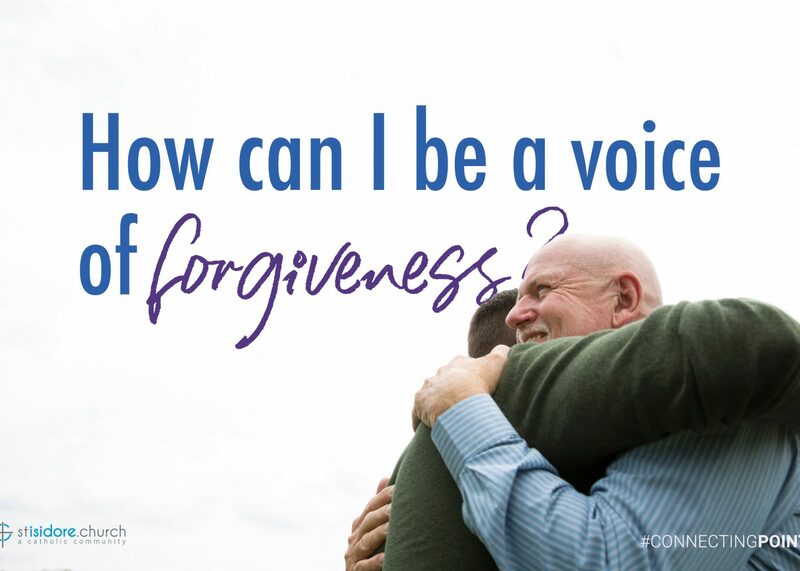 In this week’s Gospel, John the Baptist proclaims “a baptism of repentance for the forgiveness of sins.” In our Church, we can seek forgiveness in the Sacrament of Reconciliation, but what about other areas in our lives? I had one priest challenge me to take this time of Advent to be open to forgiving others as a gift to those people. When we hold grudges for so long it can change us and drag us down, but when we forgive others, it is almost a rebirth into a new relationship with that person. Through Advent, we are preparing for the birth of Christ, and what better way to prepare ourselves than to give the gift of forgiveness? When other people see us forgive, it can be a movement of transformation, and a positive message that can catch on. So my challenge for you this Advent is to think about who in your life needs forgiveness right now and reach out to them. Consider sending them a Christmas Card or just reach out with a phone call. Let this time of the year be a time of forgiveness and celebration.